Traders are concerned about the rising prospect of a ‘no deal’ Brexit. 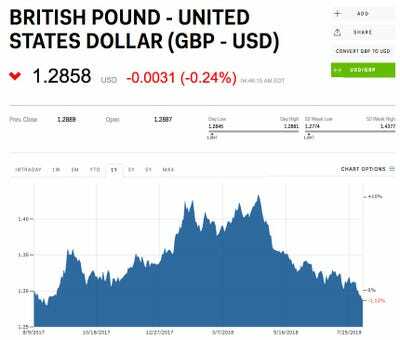 LONDON – The pound’s extended slump continued on Thursday as it fell to a fresh low against the dollar. 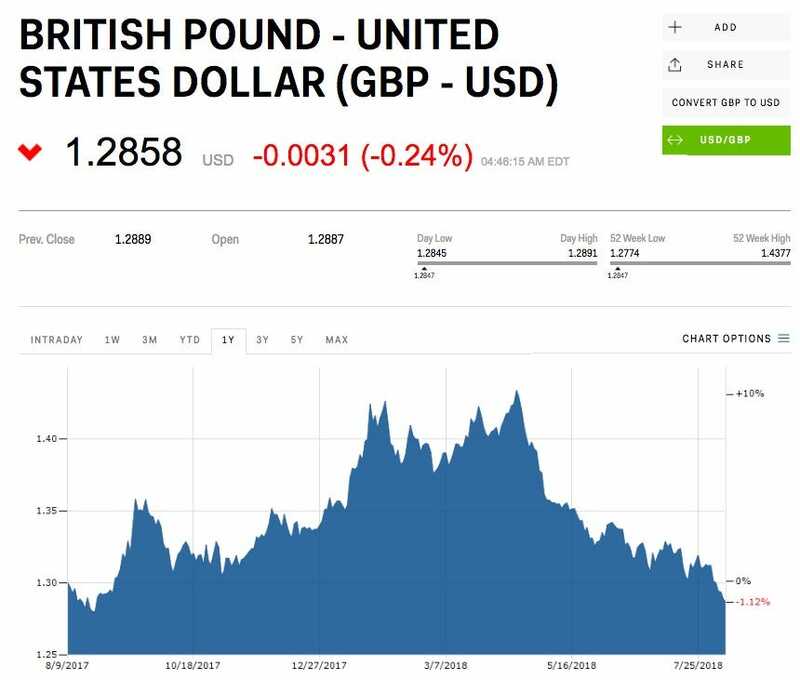 Sterling is down 0.2% the dollar to $US1.2858 at 9.45 a.m. BST (4.45 a.m. ET), marking a fresh 11-month low. The pound is up 0.03% against the euro to €1.1101, still trading close to 9-month lows. The deadline for Britain to leave the EU is March 2019 and the UK government has so far made little progress in agreeing on a post-Brexit trading deal with the EU. Bank of England Governor Mark Carney and the UK’s International Trade Secretary, Liam Fox, have both highlighted the rising likelihood of a no-deal Brexit in recent weeks, warning that Britain could crash out of the EU without any deal on its future trading relationship with the bloc.